“I am honored to be inducted as a member of the Virginia Wing of the Civil Air Patrol. It is truly humbling to be recognized by this organization”, Buddy Fowler remarked. 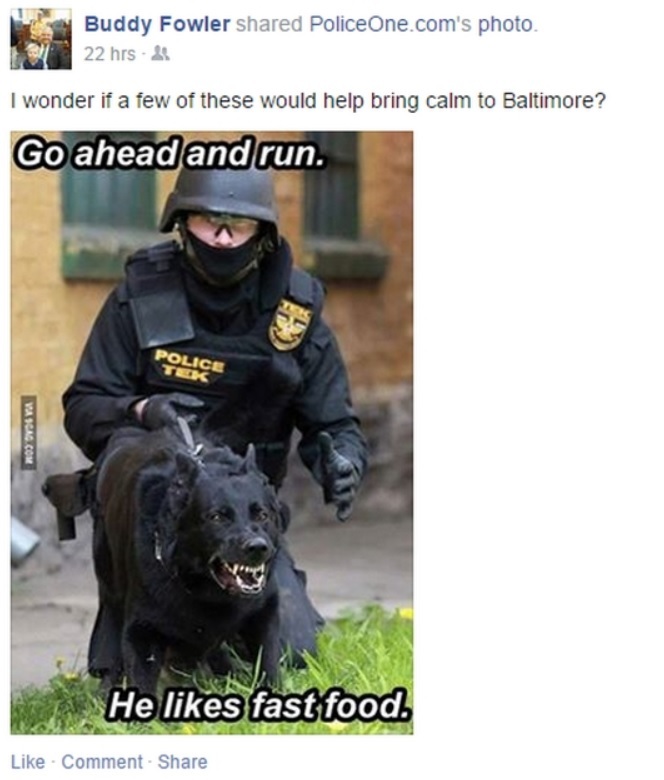 Within four months, Fowler will be supporting Civil Air Patrol by sharing images of police canine teams chasing down those who run as “fast food” as a way of calming unrest in Baltimore following the arrest and death of Freddie Gray. 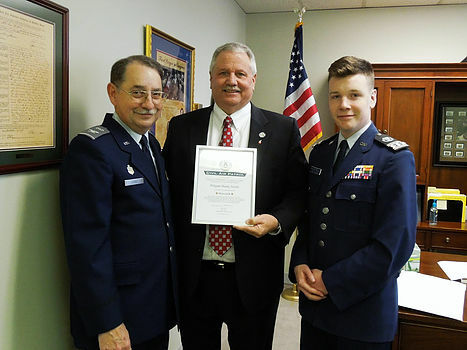 Be the first to comment on "Civil Air Patrol Inducts Hyland “Buddy” Fowler Jr"